Home > Tax Saving Investment - MF > 5 Simple Ways to Invest more money..! Most of us are squeezed for time, despite the best of technology available at our finger tips. In comparison, our earlier generations were able to utilise their time much better despite being 'low tech' and not 'online'. Same is the case with their savings. The latter were able to save with much greater ease and perhaps save a higher percentage of their earnings versus our generation which is finding this difficult. Are we trying hard enough to invest? 1. Spend what is left after saving rather than save what is left after spending.. This is one of Mr. Warren Buffet's famous quote and a good starting point to save more. To do this, start documenting your income and expense details to calculate monthly saving. This way you know exactly how much you save and can also pin point some expenses which can be cut down further. 2. Control your online spends.. There is an online retail explosion in the country. It has been observed that convenience and discounts have resulted in more impulsive purchases than those which may be need based. Is it an impulsive buy just because there is a discount? How often are you going to use the new product? Is life going to change much if you decide to postpone the purchase? Your answers will help you to go ahead with the purchase or not. 3. Pay off your expensive loans..! Out of your liabilities, check those that carry a higher interest rate like credit card dues, personal loans, etc... and pay them off. Prefer 'term' insurance to 'traditional' insurance. You may save on premium by going for a higher insurance 'cover' rather than a higher insurance 'premium'. 5. Check out various icome tax saving options..! Besides the popular section 80C option to save taxes, explore various other sections which may allow you to save more taxes. Some companies also offer flexible salary structures to save taxes. Any tax saved can add to your savings kitty. Once you do this, it is also important to deploy these savings in inflation beating investment avenues. A mutual fund SIP is one such avenue. It is also like your EMI which helps you to achieve long term goals through consistent, disciplined investing. You can start with as low as Rs 500 per month. 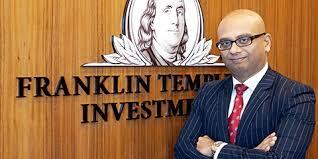 Mr. Harshendu Bindal is President at Franklin Templeton Investments. President at Franklin Templeton Investments (India) Pvt. Ltd.